As the death toll from the Ebola virus outbreak in West Africa continues to rise, experts are also concerned about the long-term effects the disease will have on the already fragile markets and economies of Liberia, Sierra Leone and Guinea, which have suffered the most damage. The United Nations World Food Program and Food and Agriculture Organization announced on Tuesday that it had approved 65,000 metric tons of food assistance to the nearly 1.3 million people affected by the outbreak in the past three months. “Set against the backdrop of already high levels of poverty and limited social service capacities, the impact of the [Ebola] outbreak is having acute repercussions on the food security of affected populations,” the report says, citing reduced food trade, rising prices and lower domestic harvests. “The areas with high incidences of [Ebola] are among the most productive regions of Liberia and Sierra Leone,” the report says. This has created a labor shortage and will likely result in low levels of production on cash crops such as palm oil, cocoa and rubber. “Such a decline in both food and cash crop production would severely impact household incomes, thus reducing purchasing power and inhibiting food access,”a “special alert” from the U.N agency says. So far, more than 1,500 people have died from Ebola, and public health officials have started to restrict movement of people and establish quarantine zones. While these measures may help stop the fatal virus from spreading, economists fear what it will mean for the region’s economy, which is highly dependent on agriculture. “Although necessary, these restrictions have resulted in food security concerns that curtailed the movement of goods and services, including food items, leading to panic buying, food shortages, and significant price hikes,” the report says. Earlier this year, analysts predicted good harvests thanks to rainfall levels in most parts of these countries. But as harvest season approaches, workers in these areas are far from their typical routines, which will aggravate already high food prices. U.N. data shows that nearly 80 percent of household income is spent on food in some cases, which means the price increase could seriously affect people’s access to the necessities. In Liberia, for example, the price of the staple food cassava increased up to 150 percent in just the first two weeks of August, according to U.N. data. Meanwhile, Liberia, Guinea and Sierra Leone are highly reliant on foreign trade to satisfy domestic consumption. As borders close and currencies continue to tumble, the outlook for the future isn’t bright. 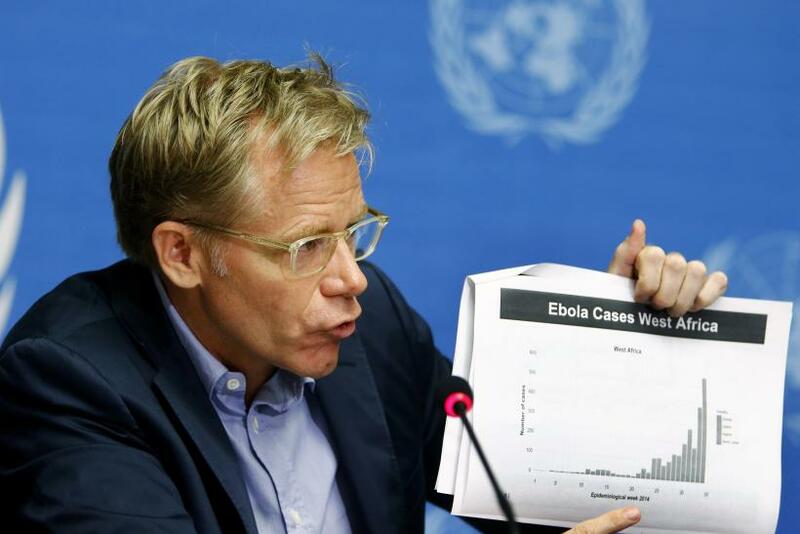 “The Ebola outbreak is having an acute macroeconomic and social impact on three already fragile countries in West Africa,” the International Monetary Fund’s communications director, Gerry Rice, told reporters last week. While the outbreak has also spread to countries such as Nigeria and Senegal, the three that have been most affected are also the most precarious economically. While Nigeria’s gross domestic product is $522.6 billion, the largest on the continent, Sierra Leone’s GDP is just $4.9 billion, Guinea’s is $6.2 billion and Liberia’s is just $2 billion, according to the World Bank. “I think it is important to act quickly and ring-fence the crisis,” Amadou Sy, Africa economist at the Brookings Institute, said to International Business Times. Tourist arrivals to sub-Saharan Africa have increased more than 300 percent since 1990 hitting 33.8 million visits in 2012, according to the World Bank, and the industry has become a major driving force for local economies. Mining and minerals also play a major role in these countries, and could pose a risk if the outbreak is not stopped soon. As far back as June, the mining company London Mining PLC (LON:LOND), which has operations in Sierra Leone, said that it imposed restrictions on travel and would pull out those people who were able to work remotely. The company’s stock has fallen 66 percent since the outbreak began in March this year. “Revenues are down, foreign exchange levels are down, markets are not functioning, airlines are not coming in, projects are being cancelled, business people have left -- that is very, very damaging,” African Development Bank (AfDB) chief Donald Kaberuka told Reuters last week during a visit to Sierra Leone.